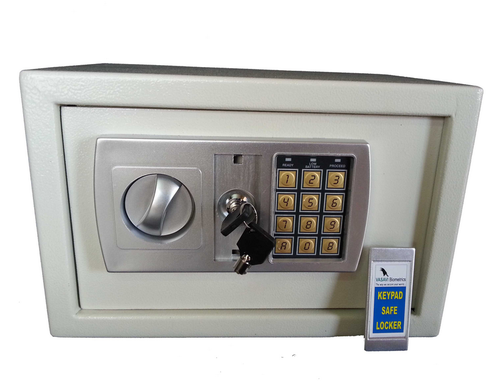 Electronic Keypad Safe Locker has Both Keypad and Mechanical Key option. Easy in Operation. You can change the Digital Key time to time. You can set your own password number and open the locker with the password number. If you doubt that some body has known your password you can change it time to time. You don't need a mechanical key to open the locker. You can use the mechanical key if you are not willing to use the electronic keypad.